Dr. CarmenTafolla is a prolific writer, committed teacher, and tireless activist for our students. She is a poet, fiction writer, children’s author, playwright, and essayist. Her published work is internationally known. She has read her work to countless audiences, and when she does, she also speaks about the importance of education for all students, especially those who are marginalized. 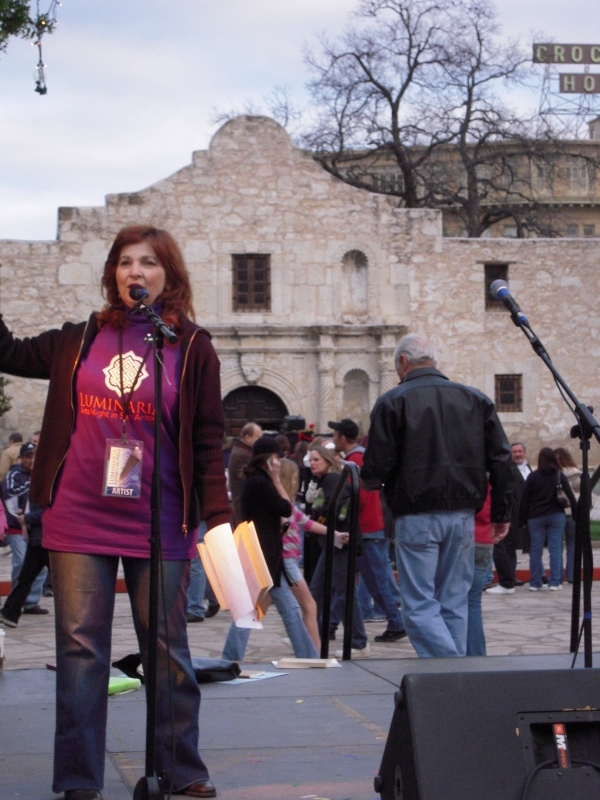 In 2012, she was named the city of San Antonio's first Poet Laureate. During her term, and in another La Bloga interview, she said: “Literacy and literature cannot be realistically separated if we hope to have an impact on all of our residents” (La Bloga, April 11, 2012). 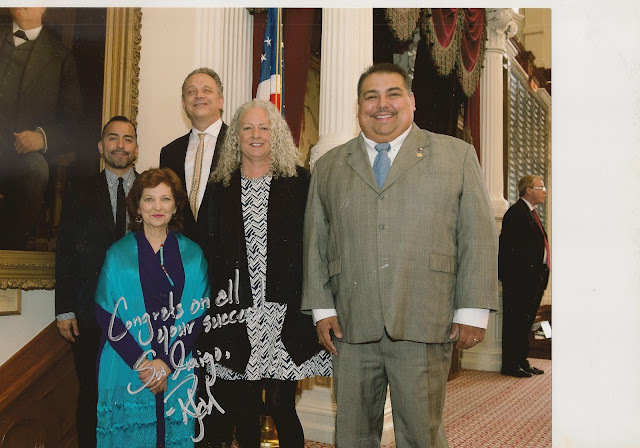 More recently, Dr. Tafolla was named the 2015 Texas State Poet Laureate—a significant honor that she intends to use for the benefit of young Chicanas/Chicanos and Latina/Latinos in Texas. We are lucky to have Dr. Tafolla again with La Bloga to talk about this new honor. 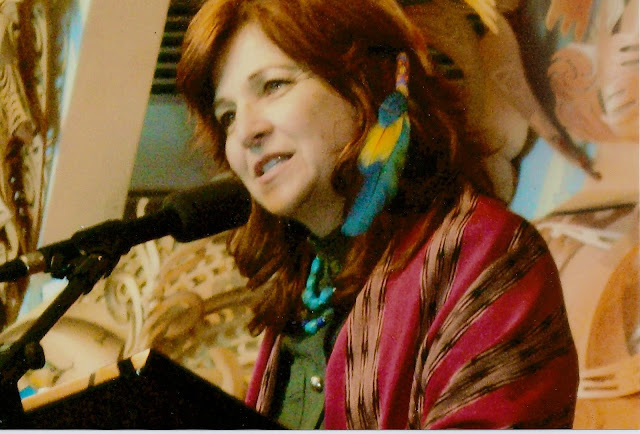 Amelia Montes: Felicidades on being named the 2015 Texas State Poet Laureate, Carmen! Tell us how your duties will differ from when you were the Poet Laureate for the city of San Antonio. Carmen Tafolla: The City Poet Laureate was a much more specific assignment. While there was much room to define the projects myself, San Antonio asked for 6 major projects (of my choosing) in the Poet Laureate Signature Series and there was a budget (plus a small honorarium for each of these projects). Being the first City Poet Laureate San Antonio (or indeed any major city in Texas) had ever investitured gave me the chance to define the role in ways I felt would have a longer-term impact on the community. While I chose to interpret the position not just as an honor, but as a service to the community, that meant extensive involvement in almost every aspect of literary and artistic creation in the city. Instead of just doing the six projects, I ended up reading, speaking, or performing at more than 300 events over the two years of my City Laureate tenure. I presented at elementary schools, kindergartens, middle and high schools, colleges, senior centers, cultural arts centers, professional conferences, working with the San Antonio Composers Association, the San Antonio Youth Symphony, Fulbright Scholars visiting San Antonio from Korea, a group of young artists from Syria seeking ways to use art to resolve conflict, and my favorite: helping developing writers. In contrast, the State Laureateship has no budget and no assigned duties other than to show up at the Legislature to accept the honor. But with an 83-year-history, the Texas State Poet Laureateship (having started even before there was a U.S. Poet Laureate) has, I believe, a responsibility and a tradition of spreading literary awareness and enthusiasm throughout the State, and therefore depends on the particular Poet Laureate to make this happen. Some Poet Laureates have used their own money to fund travel and presentations (not usually a good idea considering the meager income of poets), and a few have even acquired grants. One I know actually borrowed money. I decided to try something different—something more proactive than reactive. And this is where my old training in early Mexican American Studies and Chicano cultural projects shows! In the 1970s Chicano Movement, if we wanted something done, we had to organize it ourselves, so I went to the comadres and compadres I knew I could trust, and began to organize how to make this Laureateship something that would reach ALL the communities of Texas, and not just the wealthier ones. AM: Great idea! Please tell us what you and the comadres and compadres created. CT: One of my goals is to plant seeds of poetry all over Texas, reaching out to populations that have previously been overlooked. I called together a group of advisors to help me select 20 of the poorest school districts in Texas, to participate in a project I call “Planting Poet Trees.” I approached my University Chair, Dr. Belinda Flores of Bicultural Bilingual Studies, and my Dean, Dr. Betty Merchant, College of Education and Human Development at the University of Texas at San Antonio (UTSA), --two of the bravest and most visionary educators in the region, and they not only gave enthusiastic support and ideas, but also brainstormed funding possibilities. We are still in the process of approaching corporate donors interested in reaching students who, otherwise, might never even see a laureate or a published poet in their entire school career. My Dean even allotted some funds to allow me to get started on reaching out to schools and beginning the visits, while we approach other donors to co-sponsor with UTSA. With this help, twenty of the poorest schools in the state will receive, free of charge, a day of workshops and poetry readings, plus a set of books about poetry for their library. Official photo from The Texas House Floor during the Poet Laureate Investiture. Dr. Carmen Tafolla pictured with State Musician Jimmie Vaughan, State Artist Vincent Valdez, State 3-D Artist Margo Sawyer. In addition, I approached Wings Press (www.wingspress.com) about publishing an anthology of poems by students throughout the state, and they have agreed, so this will serve as an extra perk for students to create, polish, and publish their own works. It’s a lot to do in one year, but I’m optimistic that a few well-tended seeds, with a rich diversity of voices, can make a difference in our literary landscape, which has for so long been missing these voices. While our state is characterized by an incredible wealth of cultures in our actuality and in our making, the official recognition of these cultures has lagged far behind. In the 83 years since this honor first began, I’m the first person with a Spanish surname to receive it. In a state so blessed with a strong Latino literary history, that’s ridiculous! Where were the honors for Angela de Hoyos? For Trinidad Sanchez? For Gloria Anzaldúa? We’re due a lot of what I call “gender penance,” but just getting recognition where recognition is due would be enough. AM: I’m optimistic that your goals will indeed be reached, that your anthology will represent so many diverse student voices, and that students will also become familiar with our Latino literary history. Tell us about growing up in the “west-side barrios” of San Antonio (especially for those readers who are not familiar with San Antonio). CT: I feel truly blessed to have grown up in such a special place, a place filled with a strong bilingual, bicultural heritage, going back before this was even the U.S. The “west-side” has historically been a place of tolerance as well, a place where “Es su modo” gentled out the treatment of those who were different, and pulled other cultures into the fold of our community. Photo from the cover of Carmen Tafolla's 1976 book, Get Your Tortillas Together. 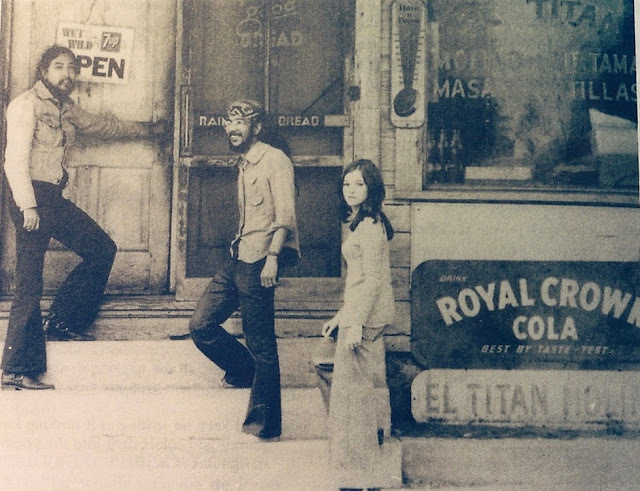 Pictures from left to right: Cecilio Garcia Camarillo, Reyes Cardenas, and Carmen Tafolla. Photo by Cesar Augusto Martinez, 1976. AM: You have a long list of award-winning publications: five books of poetry, eleven children’s books, a short story collection, several non-fiction books which include Tamales, Comadres & The Meaning of Civilization, and To Split a Human: Mitos, Machos y la Mujer Chicana, plus, a feature-length film script with writer/director, Sylvia Morales. How do you move so easily among all these genres and, for example, how is the writing of poetry different from writing children’s books? CT: Yes, I have always said my native language, Tex-Mex, taught me to ride the line between two realities, two languages, two genres, two ways of seeing the world. I think that duality informs my writing and my thinking. AND, I always expect my children’s writing to be in rather poetic language (as well as expecting my prose to do the same). AM: Regarding your five books of poetry: who is your audience? CT: Maybe 40 years ago, when I first started publishing, I might have said Chicanos and people who understand that Spanish and English can be artistically mixed together to reflect our bicultural realities. But even then, I was trying to reach people worldwide, to shout out that we have existed, that we have been a beautiful and noble and humanly flawed and brave people with a unique experience. Isn’t this what writers of all ethnicities want? To speak the uniqueness and the comedy and the tragedy of their existence? Today, I have been published and appreciated in Germany, Mexico, France, India, New Zealand, Australia, throughout the U.S., and who knows where else. Last month, I received a “thank you” from children in Africa, for the book I had written affirming the power of imagination, and the ability to make many toys out of one object: What Can You DO With a Rebozo? Random House 2008. I have read in Ireland, in England, in Norway, and -- everywhere the poems have reached deep to a common human core. I find my poems in buses and in high school U.S. literature textbooks, in magazines, and professional theological journals—poetry is the human voice, and as such, it should be able to reach all human beings. AM: Why publish children’s books? CT: Many nations ignore the need for children’s literature, as did the U.S. a hundred years ago, when we expected children to merely be miniature adults. But I consider the child’s mind a great and open field, capable of much creativity and much vision. It is here that we can truly change the world, opening minds that will never again agree to be closed. Además, our Latino heritage has always cultivated declamación among children, teaching the very young to be able to competently present beautiful literature in a meaningful way. I grew up knowing how to declaim long poems in Spanish, but never seeing my own face or my own barrio reflected in books. We grew up hungry to see reflections of ourselves, in a time when every book had 3 boys for every girl, and tons of children that were blonde, blue-eyed, and rosy-cheeked, but no one even a light brown. When I look at figures that say that in 2010, only 66 of 3,000 children’s books published were written by Latinos, I know we still have a long way to go to let our niñitos see themselves reflected in the world of books. Dr. Carmen Tafolla eating a paleta with schoolchildren at "The Tomas Rivera Book Award Party"
for award winner, What Can You DO With a Paleta? AM: You’ve also written seven non-fiction books. Tell us about those. AM: Fascinating historical research, Carmen! And then there is the screenplay you have in collaboration with filmmaker/director, Sylvia Morales. Tell us about these ventures. AM: And along with all these writing projects, theater productions, you have worked for many years in academia. What re the challenges we still face in academia today? CT: Ayyyyy! Universities (and academia) are both our biggest problem and our biggest promise. Universities are really a throwback to the feudal world—so much hegemonic thinking, so strictly ordered a hierarchy. So much old-fashioned (and carefully, pseudo-intellectually justified) bias. To quote Dr. Albar Peña (first Director of the US Office of Bilingual Education), “When we got to DC, politics was everywhere! Sooo political . . . but then I got back to the university—and NOTHING! Nothing is more political than a university!” But because academia is dedicated to exploration and thinking, it also houses some of the greatest open minds—groups of individual scholars who have gone forward in fields like Chicano Studies, Women’s Studies, LGBTQ Studies, Racism Research, Transformative Education, and Critical Theory. When I look at that, I feel there’s still hope to change the way the world thinks. And then writers and artists—they become the really BIG change agents, because they reach the PEOPLE. AM: What has been your biggest challenge and your most significant success in the work you have done so far? CT: I love the blending of genres, even today when linguistic code-switching is a bit more acceptable . . . I am still trying to cross borders. I have two different volumes of poetry (one tentatively entitled The Comadres of Cancer, the other Dancing with Death) which I keep trying to structure as a dance between prose and poetry. I like BREAKING the standards, and creating new artistic forms. Crosses between poetry and dramatic performance, crosses between stage and screenplay—asides to the audience by a narrator who shifts shapes and centuries, the blending of dance and music and visual art into performance poems (as done in several performances of my book of ekphrastic poems, Rebozos). I am always proudest of my newest baby—in this instance, a children’s chapter book almost finished called The Prince of Chocolate—but the hardest challenges are the ones not yet complete—the biography of Emma Tenayuca, which represents a huge challenge to capture the complicated life of a cultural icon, and after that, a memoir I wrote in the 1990s and which I’ve been too busy living life to stop and finish. AM: Muchisimas gracias for taking the time to be with La Bloga today, Carmen! We are so pleased that you are this year's Texas State Poet Laureate. 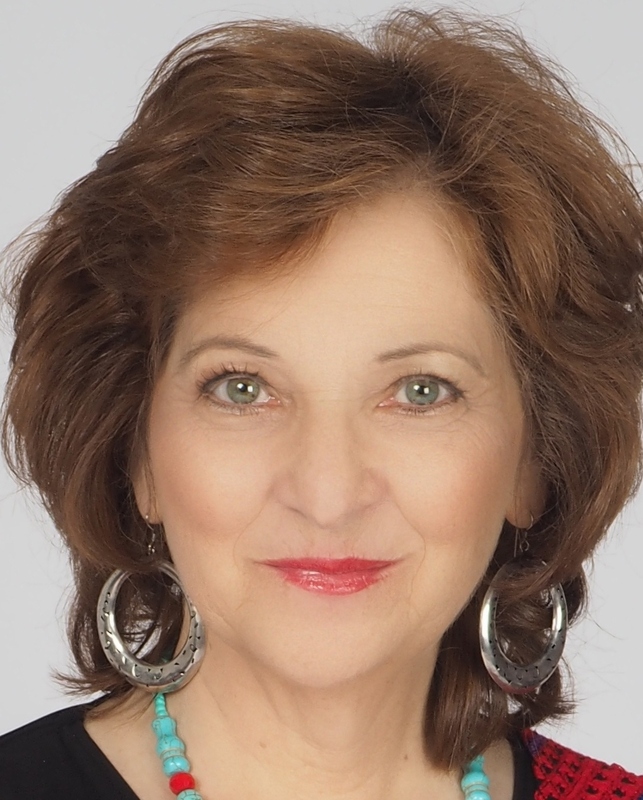 To order Carmen Tafolla's many publications, and to read additional information about her work, and her upcoming appearances, please click on her WEBSITE. Gracias! Radio DJ Suspected of being chupacabra.